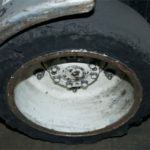 Tips on Forklift Tires - Roadrunner Rubber Corp. 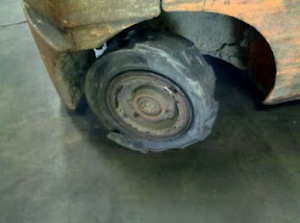 Worn forklift tires can cause many types of problems, from damaged trucks and loads, to worker injuries and damage to your facilities. 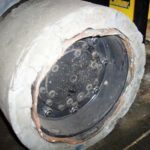 Forklift tires are constantly in contact with the ground, carrying heavy loads, sometimes over rough surfaces, carrying counter-weights and batteries. They stop, turn, reverse, accelerate, and generally take a non-stop beating! 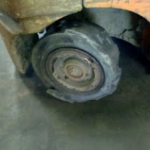 Worn tires also cause greater vibration in the forklift, increasing driver fatigue, shaking and jolting the truck and the load, sometimes causing the driver to lose control. An inch makes all the difference! 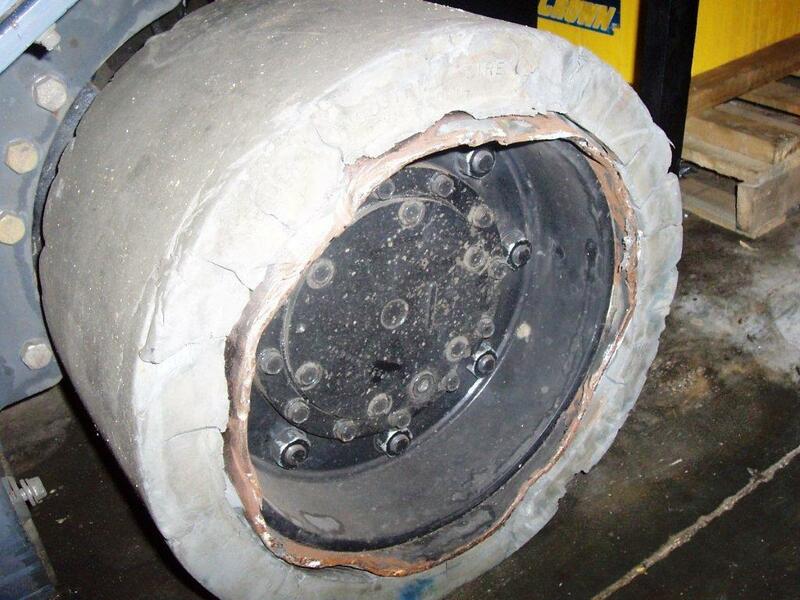 To illustrate the difference between a new tire and a worn tire, look at the difference one inch can make in the carrying capacity of a forklift tire! A 16x5x10-1/2 can carry around 2,730 pounds. A 16x6x10-1/2 (only an inch more) carries 3,460 pounds! One inch difference means losing over 700 pounds of carrying capacity! Now look at the tires on your lifts and multiply this difference by all four tires. 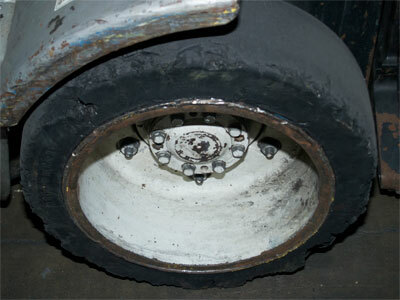 A worn tire will not safely sustain the load of a new tire. How important is safety to your company? How important is the safety of the load you are carrying or of the person driving the machine? Bottom line: It’s not worth it. Compare the cost of changing your forklift tires in a timely fashion to the cost of a lost load, a new axle, or an injured co-worker.